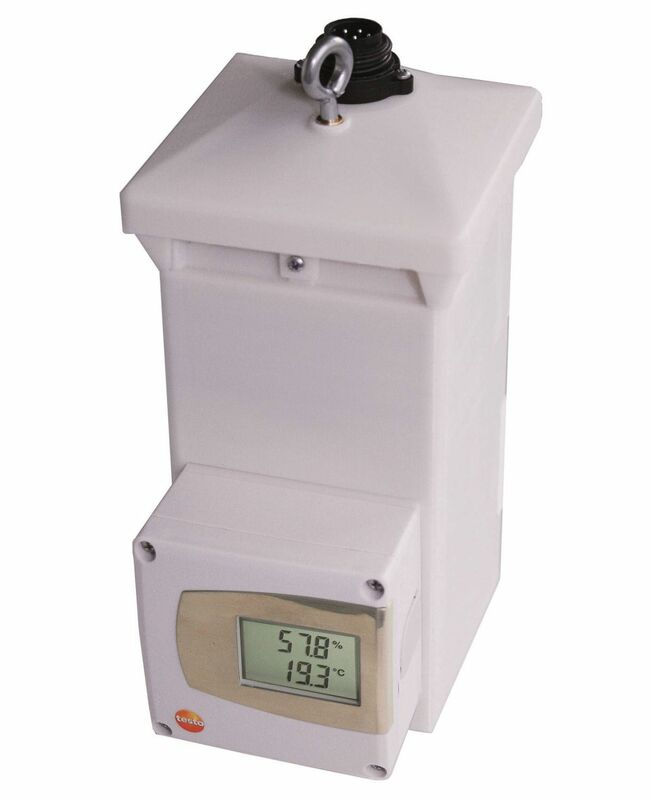 The testo 6631 temperature and humidity transmitter is ideally suited for use in greenhouses and laboratories. Use the transmitter for the reliable monitoring of critical climates in bio research. The testo 6631 temperature and humidity transmitter (measuring traffic lights) was specially developed for monitoring critical climates in bio research, such as use in greenhouses or laboratories. The testo 6631 temperature and humidity transmitter scores highly when it comes to long-term stability and reliability, with its precise Testo humidity sensor. An integrated ventilator offers targeted flow impact onto the sensor which enables the recording of an averaged climate inside the greenhouse cells. testo 6631 humidity/temperature transmitter for greenhouses and laboratories (measuring traffic lights) with selectable signal outputs and optional display (depending on the configuration).